A blend of the finest Premium Sencha Green Tea from Organic-Certified gardens in both Japan and China, resulting in a rich and robust overall flavor that provides a delicious new opportunity to embrace Green Tea's overwhelming health benefits. There is no beverage with a longer history of traditional use than Green Tea. There is also no beverage with more science to support its healthy use than Green Tea. Tradition and science partner perfectly in our Organic Sencha Green Tea to provide a delicious opportunity to enjoy the health benefits of Green Tea. Research has identified special compounds in Green Tea called Polyphenols that deliver its benefits. EGCG (Epigallocatechin Gallate) is the most important of those Polyphenols and of course, our Organic Sencha Green Tea delivers high levels of EGCG, while also being perfectly balanced, providing mild levels of caffeine - less than those found in a weak cup of coffee or cup of black tea. I sought to create a Green Tea for those who don't like ordinary Green Tea, so I started with the finest Sencha Green Tea, from the two most respected tea producers in the world: Japan and China. 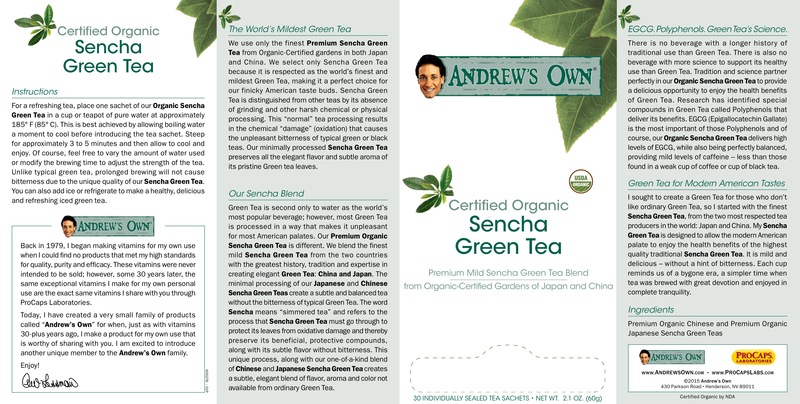 My Sencha Green Tea is designed to allow the modern American palate to enjoy the health benefits of the highest quality traditional Sencha Green Tea. It is mild and delicious - without a hint of bitterness. Each cup reminds us of a bygone era, a simpler time when tea was brewed with great devotion and enjoyed in complete tranquility. We use only the finest Premium Sencha Green Tea from Organic-Certified gardens in both Japan and China. We select only Sencha Green Tea because it is respected as the world's finest and mildest Green Tea, making it a perfect choice for our finicky American taste buds. Sencha Green Tea is distinguished from other teas by its absence of grinding and other harsh chemical or physical processing. This "normal" tea processing results in the chemical "damage" (oxidation) that causes the unpleasant bitterness of typical green or black teas. Our minimally processed Sencha Green Tea preserves all the elegant flavor and subtle aroma of its pristine Green tea leaves. Green Tea is second only to water as the world's most popular beverage; however, most Green Tea is processed in a way that makes it unpleasant for most American palates. 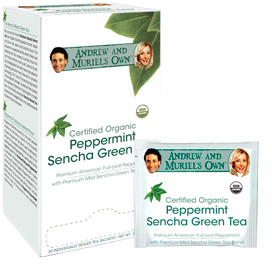 Our Premium Organic Sencha Green Tea is different. We blend the finest mild Sencha Green Tea from the two countries with the greatest history, tradition and expertise in creating elegant Green Tea: China and Japan. The minimal processing of our Japanese and Chinese Sencha Green Teas create a subtle and balanced tea without the bitterness of typical Green Tea. The word Sencha means "simmered tea" and refers to the process that Sencha Green Tea must go through to protect its leaves from oxidative damage and thereby preserve its beneficial, protective compounds, along with its subtle flavor without bitterness. This unique process, along with our one-of-a-kind blend of Chinese and Japanese Sencha Green Tea creates a subtle, elegant blend of flavor, aroma and color not available from ordinary Green Tea. For a refreshing tea, place one sachet of our Organic Sencha Green Tea in a cup or teapot of pure water at approximately 185° F (85° C). This is best achieved by allowing boiling water a moment to cool before introducing the tea sachet. Steep for approximately 3 to 5 minutes and then allow to cool and enjoy. Of course, feel free to vary the amount of water used or modify the brewing time to adjust the strength of the tea. Unlike typical green tea, prolonged brewing will not cause bitterness due to the unique quality of our Sencha Green Tea. You can also add ice or refrigerate to make a healthy, delicious and refreshing iced green tea. Simply Awesome Pure Green Tea with No Bitter Taste!!! Simply awesome pure green tea with no bitter taste! You can't go wrong with Andrew Lessman!! 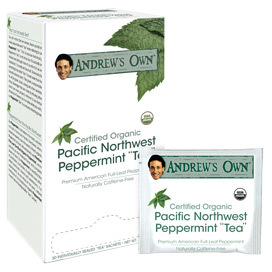 Andrew is such an honest, ethical person that always goes the extra mile to do things right! We need more Andrews in the world!! 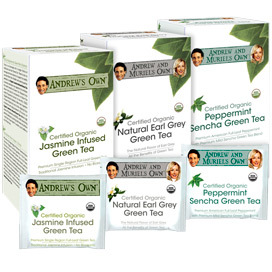 Ok, back to the tea, all of Andrew's teas are the best including the Sencha Green Tea. 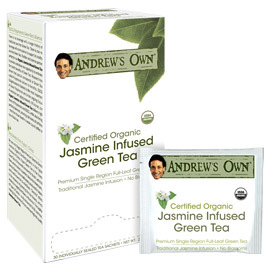 I make it by the half gallon using 2 tea bags as I drink almost a gallon per day-(just following Andrew's lead) and I sometimes let a jar of it seep for a week or longer with no bitter after taste, just pure green tea goodness with all of the health benefits. You can't go wrong, your health is worth it. 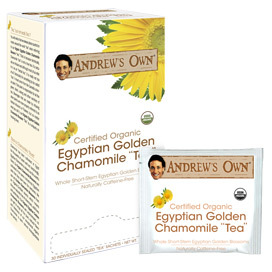 Thanks Andrew for all of your great products, and for all you do! You're the best!!! God bless! 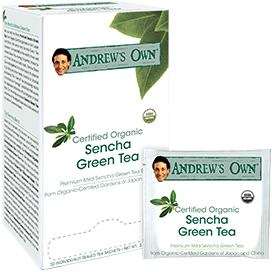 Premium Organic Chinese and Premium Organic Japanese Sencha Green Teas.